Live In Inspiration | travel . lifestyle . inspire . New York City has always been fascinating to me. Every year I would anticipate planning our week long NYC trip consisting of bagels and cream cheese, Ray’s Pizza, broadway shows, and people watching galore!! There is no such thing as a diet in New York. Psh, you’ll walk it off anyways. That’s what I’ll tell myself now anyways! This magical city is held close to my heart because of the fond memories I have of it. One of the best days was taking the subway to the very tip most southern point (Battery Park) and walking up Manhattan with my dad. Wall Street, China Town, Strawberry Fields, we saw it all. Exploration at its finest. 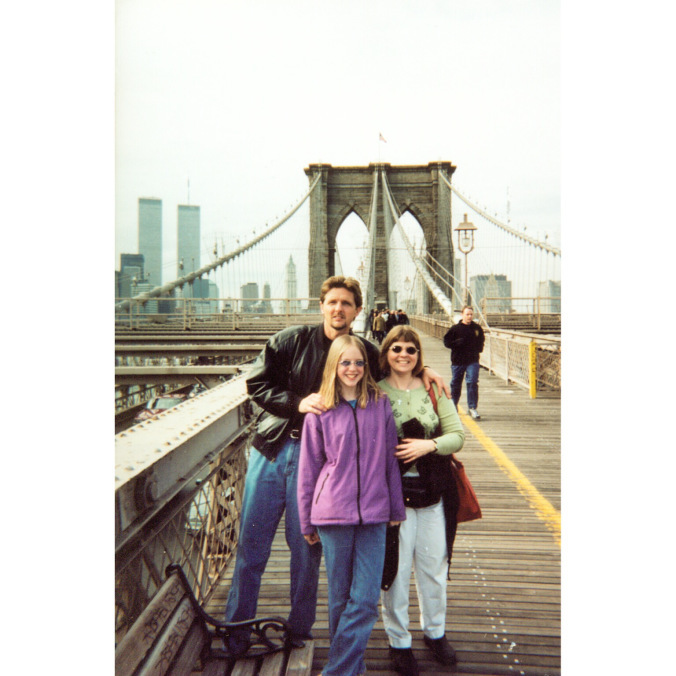 Another was when my mom got me out of school in the middle of the week for a long weekend because we had to go to New York to see one of her favorite artist’s newest installations through Central Park. P.S. If you don’t know who Christo and Jeanne-Claude are then please do yourself a favor and do some art research. The Gates was unreal to see in person. Soho introduced me to my love of boutiques and fashion and Central Park made me slow down and enjoy my surroundings (yes, even in the NYC hustle and bustle). I love seeing a city so diverse and so proud of it. People are my inspiration. Of course being a sociology major in college comes with realizing and seeing some issues differently than others. And I think that’s why I’ve always been so attracted to this city and its people. September 11 is always somewhat of a haunting day. That was the day my favorite city fell to its knees. But it has been unbelievable to see this city come back to life. I cannot express my excitement that I’ll be in New York City for my next mini vacation in November. I can already feel the crisp air and the smell of Barney’s. Plus my boyfriend has NEVER been! AND we are definitely using the amazing Airbnb to make our living costs cheaper. Hotels are fabulous but seriously I do not have $2,000 to sleep for three nights! Instead we’ll be staying off Lexington on the East side. Can you say fabulous?! This will be the trip of a lifetime! + I can’t wait to write about it! Mkay so I’m slightly addicted to caffeine. Coffee, tea, energy drinks, you name it. SIDE NOTE: I started buying Hansen’s energy drinks. All natural so they’re not full of all that gross crap and they’re yummy! All about it! I’m extremely anemic, meaning I don’t get enough iron in my body. Nothing too weird. Tons of women suffer from this deficiency. Because of this I can get sluggish really fast, I am ALWAYS able to take a nap, aka my energy level is at a low compared to others my age. So I kinda act like an old lady at times. That’s why caffeine (as well as iron pills) really really helps me! I wish I could say I liked my coffee black but that’s a taste bud I just can’t seem to find. So I guess my boyfriend is cooler than me in that sense. Bring on the creamer! I LOVE finding new super trendy coffee shops. I love the decor, the rustic vibes, and the smell of freshly ground beans. I could sit at a cool shop all day reading and people watching. That’s my thing. See, I really AM an old lady. As everyone knows, San Diego is an awesome city. It’s a city that has culture, cozy neighborhoods, a crazy downtown scene, and it’s extremely trendy right now. Neighborhoods like Hillcrest (my hood), North Park, South Park, and University Heights are tearin it up with this trendy hipster factor. This automatically means A+ restaurants and cafes. Expect me to post an occasional local post here and there because I just can’t help it. 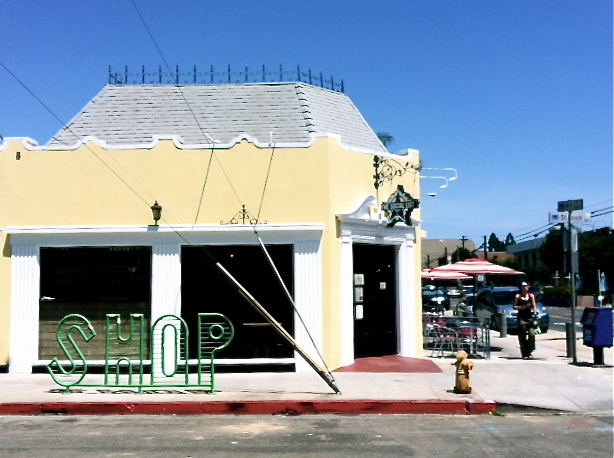 Adams Ave. is the main street in the Normal Heights/University Heights neighborhood, which is pretty much the mecca for antique shops, hole in the wall barbers, under the radar restaurants and of course COFFEE. 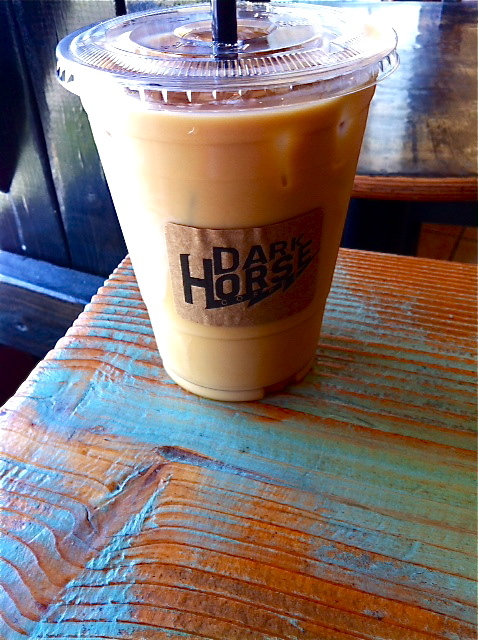 Dark Horse Coffee Roasters is where I stopped today. Pure yumminess. Cold brew coffee, 2 Splendas (judge all you want) and creme and I am one happy girl. 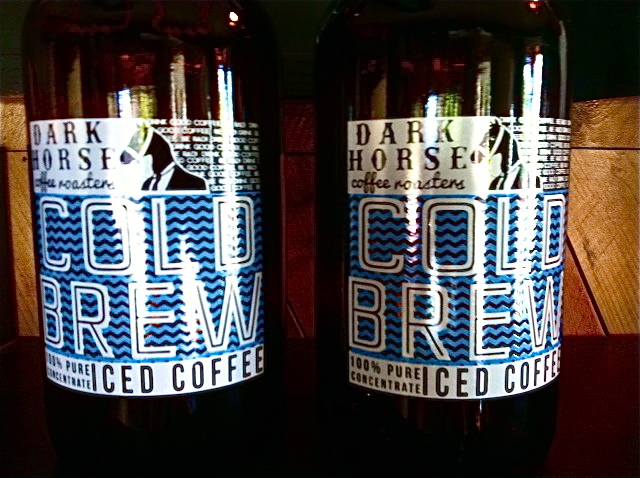 Cold brew is definitely the way to go because it has the kick of espresso but without the bitterness at the end that some iced coffees have. It goes down smooth. Great logo, great little storefront, awesome tunes, and a super coffee educated staff. Now that’s what I like to see! 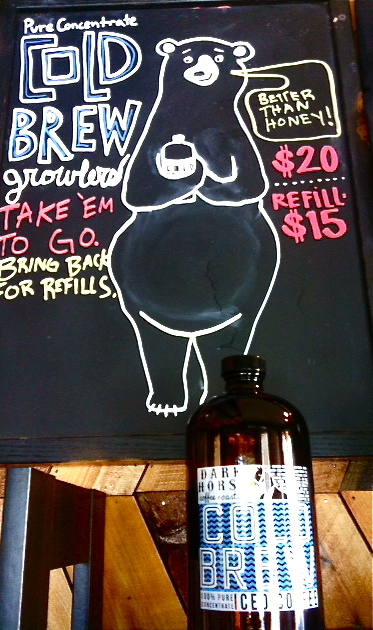 You can even purchase a cold brew growler for $20, which will give you about 6 cups of bomb coffee and last for 2 weeks in the fridge. When you’re done come and get a refill for $15. I’ve heard of the beer growler concept but am obsessed with the new twist. I’d rather have coffee than beer any day. 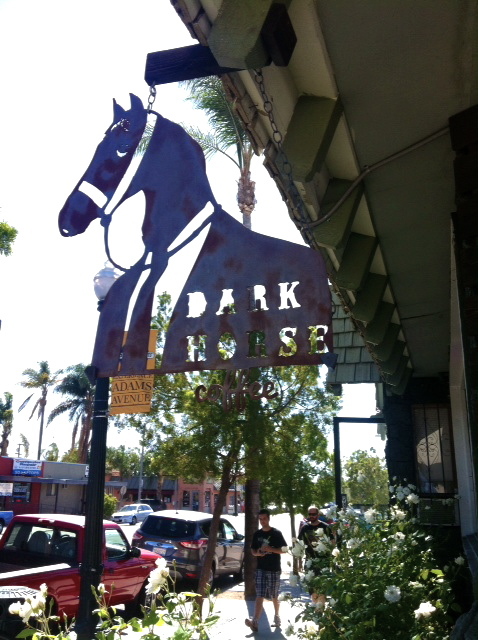 If you’re ever in the SD area, make sure to check this spot out. It’s on point! 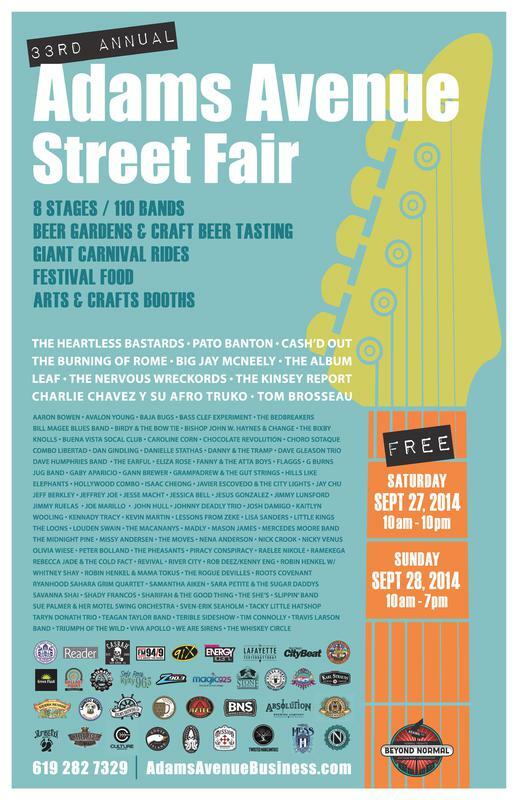 PS: The annual Adams Avenue street fair is in about a month. I’ll be there. Whether you like it cold, shaken, green, or black, tea is one of the world’s most favorite drinks. Literally! For me, tea was one of those things that got super trendy and I had to somehow start liking it! Yep, that’s right, I forced myself to like tea and voila! Now I love it! Of course I LOVE my shaken black tea with two pumps of sweetener from Starbucks but tea is a wordly obsession! Seriously everywhere that I’ve traveled to for longer than a couple days, tea is a staple to their diets. Like it means something more than just a yummy comforting drink. In the United States we get so caught up in all the health benefits. That’s unfortunately how our culture works. There has to be something we can gain rather than just doing something for enjoyment. And ya, I sure do love knowing that tea has great antioxidants, anticancer properties, and can attribute to weight loss, but those things don’t really cross my mind when I’m in front of the barista. In other countries I’ve really spent some time in like Kenya, South Africa, and Turkey, tea means something more! It’s a way of saying ‘you are welcome here’ without actually saying those words. The community as a whole is based off of such a simple drink that brings people together no matter how different those people really are or what kind of culture they come from. Having Turkish cay. Offered to us by a shop owner at the Grand Bazaar. 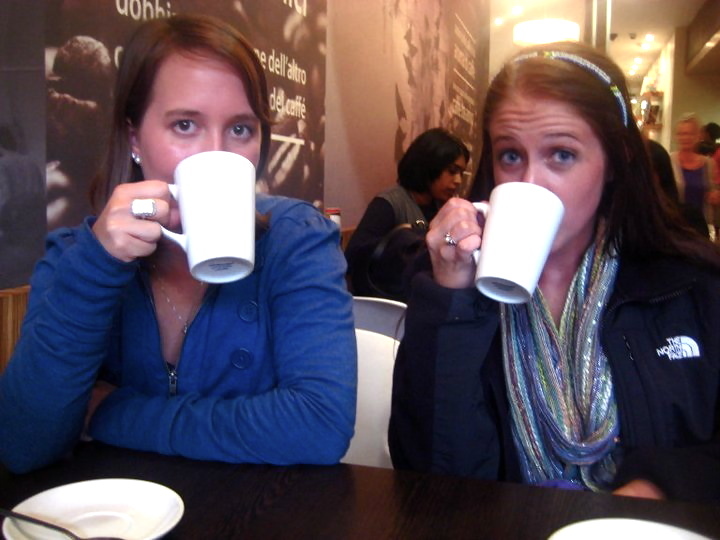 Kenya: Hot chai tea was a staple when I visited. 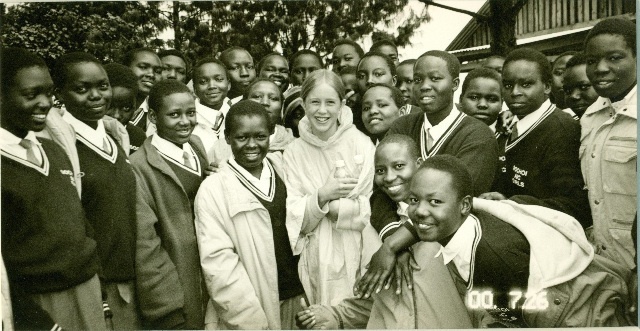 Crazy to think that the first international country I visited when I was 10 years old was in Africa. HAH! I could slap myself for not liking tea at the time because chai is soooo good! I was crazy. It was offered constantly! Some of the poorest villages and poorest houses we visited ALWAYS had chai brewing and ready. If that’s not hospitality then I don’t know what is. South Africa: I studied abroad in this amazing country my Junior spring semester of college. I’ve never drank so much tea in my entire life. Every kind of institution has two tea times built into their daily schedules. So cool, especially when you are going crazy in a 5 hour class and need a freaking break! Rooibos is the nation wide tea of choice and I fell in love. Tea time also means loads of cookies and fresh bread. I had to give this up for lent that year because that’s two daily temptations too many! I kept the tea habit though! I miss getting together with all my friends twice a day to catch up and say hi over tea. 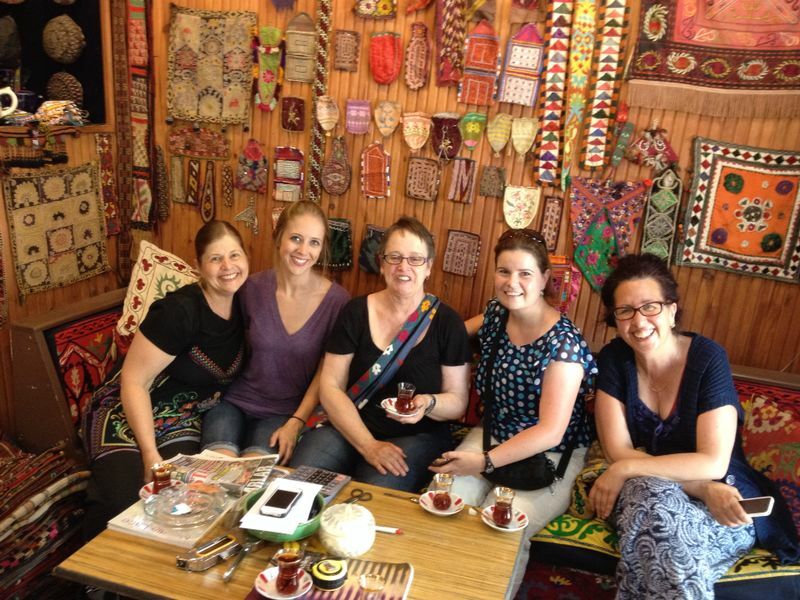 Turkey: Cay (pronounced chai but it’s just black tea) brought the community together like no other. You would constantly see business owners and friends outside of their shops drinking tea together. It’s served in these precious glass tea cups that you have to hold by the rim or else you’ll burn your fingers off. 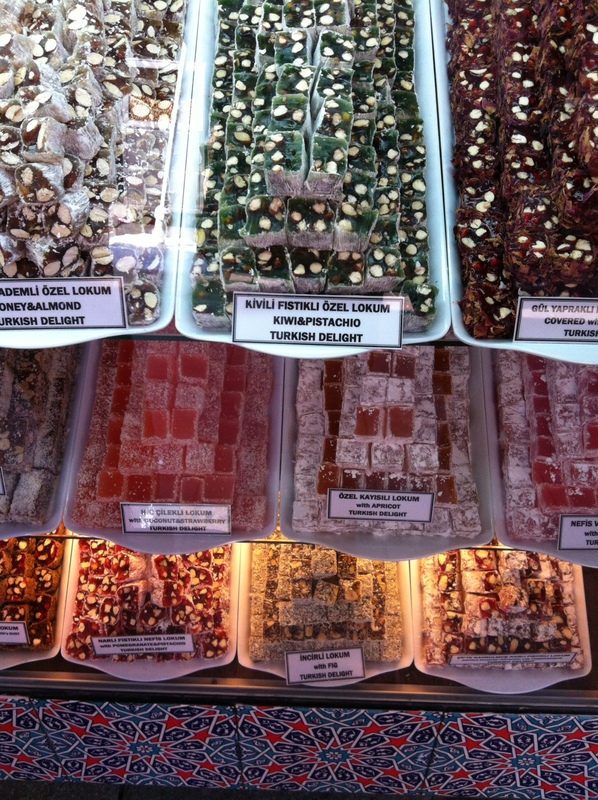 I remember going into a Turkish delight shop with my mom and the owner gave us endless free samples and offered us tea. We were instantly friends and felt so welcome. Free samples? Ummm, I’ll take one of everything! There are so many kinds of tea and each one is known for something different. These three stand out to me so much and have a special special place in my heart. Now sold at Ikea. 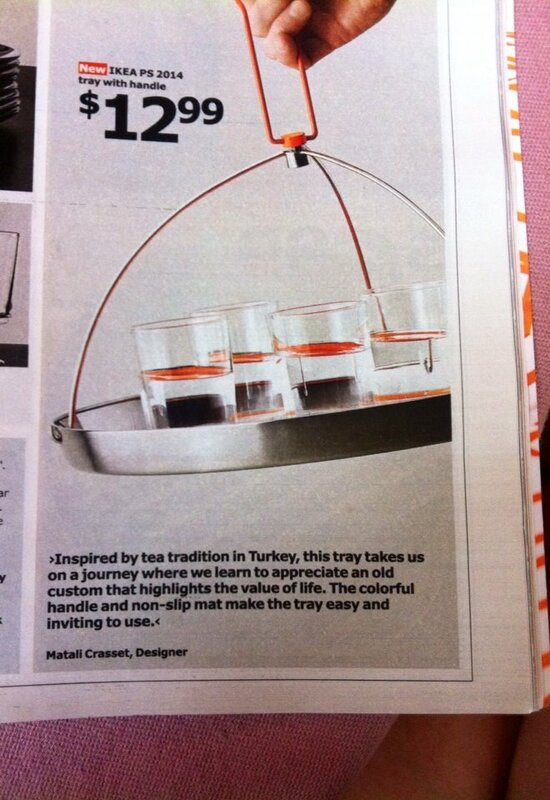 Turkish tea carriers are getting to be mainstream! Whether it’s based on the antioxidants or the taste, enjoy a cup of tea and relax in the moment. What does tea mean to you? Okay y’all! Recently I’ve been OBSESSED with anything and everything curry! I especially love Thai curry (with coconut milk) but then I had Indian yellow curry the other day and that is so delicious too! 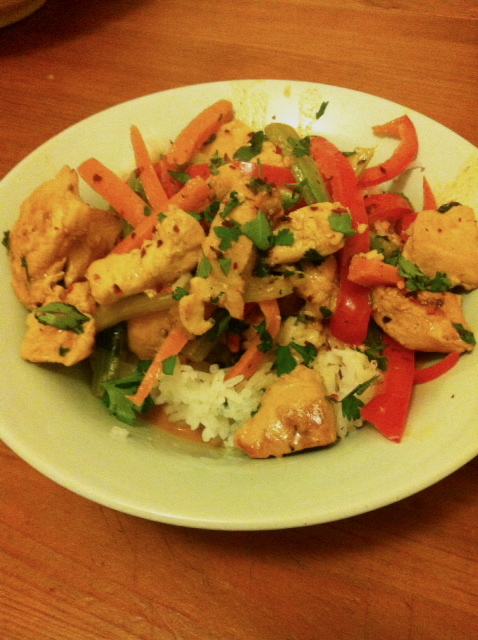 My boyfriend and I have probably had Thai curry once every other week or so the past month but OHMYGOSH I binged this weekend! Like, I literally ate a curry dish Friday, Saturday, and Sunday night. I couldn’t even help it! My dad is ALWAYS telling me to eat more than I do and to focus on good proteins and blah blah blah (typical parents). Naturally, I tell him when I have an amazing meal because I know it will make him happy. All he says is, “curry is good for you” so I started wondering, is curry really good for me? I started doing research for myself personally but HAD to share because A. I want to enjoy this meal with everyone I love. B. I don’t want people to be afraid of it. and C. Jillian Michaels writes a blog post about it! 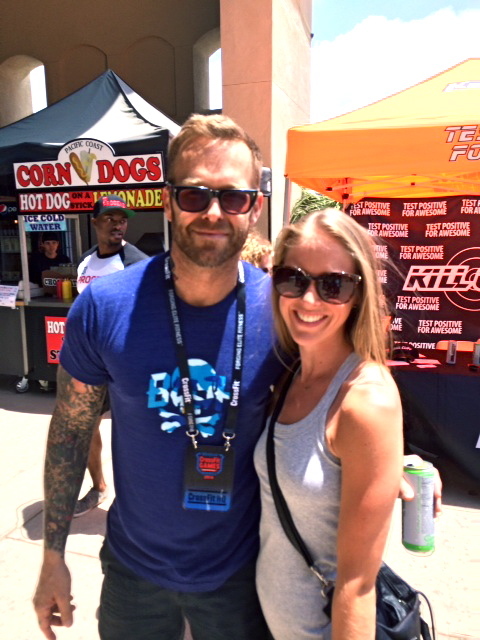 If y’all know me, you know that I love anything to do with the Biggest Loser, Jillian Michaels, and Bob Harper. Seriously some awesome peeps! So if you don’t know, curry is a very distinct spice that is used a ton in Indian, Thai, and Middle Eastern cooking. Turmeric is the main ingredient in the spice, which gives it that BOMB flavor and yellow-orange color. 3 Health Benefits of Curry! Inflammation: This is a huge deal if you work out a ton or if you or someone you know is suffering from arthritis. When you lift heavy weights, muscles become inflamed because of the stress and pressure that creates. This is ultimately what arthritis is also. Joints become so inflamed that it’s harder to move them at all. Cool to know that turmeric was actually published in the “Alternative Medicine Review” in 2009. Memory: I’ve always noticed and been told that Indian and Thai people live waaaay longer than pretty much any other nationality. Although I have observed that some of the poorest people in the world are the happiest, the health conditions in these countries are really not good at all. BUT, they live through it like it’s nothin. Not that I’d even WANT to live to be 100 but it’s a proven fact that the Indian population has a four times lower rate of Alzheimer’s than the US. The Big Killers: So, as we probably all know, cancers such as, colon, prostate, and breast as well as heart disease are the biggest killers in our society. Well, turmeric has anticancer properties that potentially can help kill or slow the growth of these cancers! It also has the ability to prevent plaque buildup in our arteries, which reduces cholesterol, therefore limiting heart disease and stroke. Pretty crazy! Uhh…if that’s not reason enough for you to put more of this stuff in your diet then IDK what to tell ya! PLUS, if coconut milk is added to curry (how I personally like it) it becomes even better! Coconut milk is one of the best fats your body can take in. The saturated fat in coconut milk burns into energy instead of storing it as gross fat. This is something to consider when trying to lose weight. See, not every fat is bad. The word ‘fat’ just has a negative connotation that you have to learn how to distinguish. Of course, curry, like anything else, needs to be eaten in moderation but the benefits of this stuff DEFINITELY outweigh the bad. Long story short, don’t feel bad eating good food! 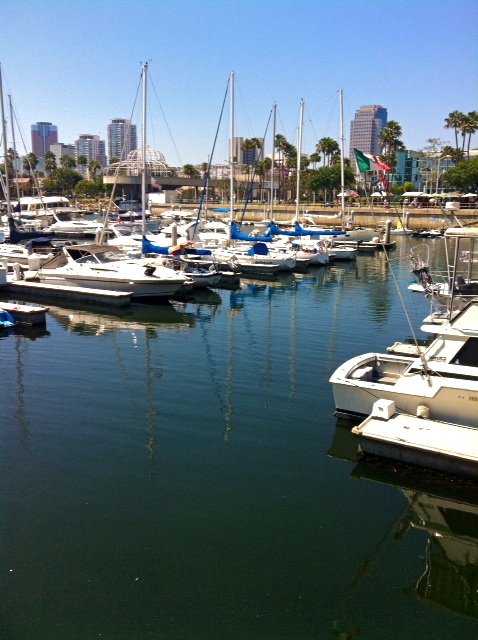 Some might know Long Beach as having one of the largest shipping ports in the world. 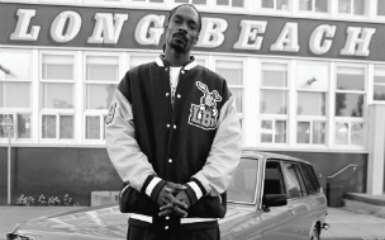 Other might know it to be the birthplace of Tiger Woods, Sublime and Snoop Dogg. 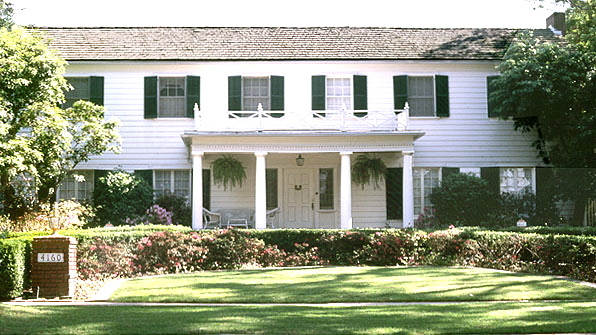 When I went to college in the L.A. area I honestly had no reason or curiosity to venture out to these parts. Well, I’m graduated, living in San Diego and FINALLY had a reason to go! aka a free ride to L.A. and good friends to meet up with. 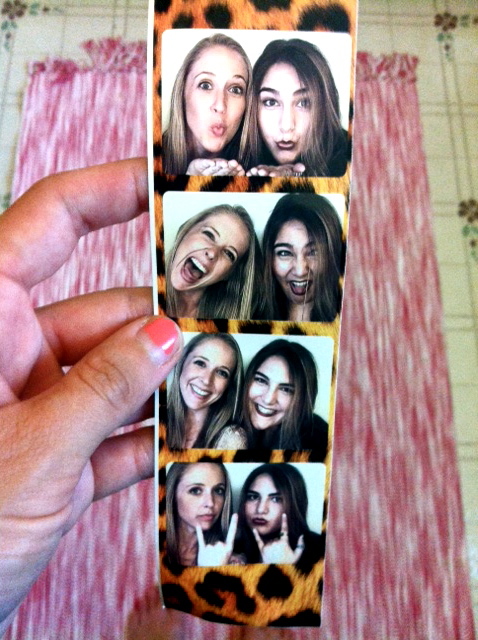 My friend Natalie and I have been friends since freshman year of college. We were known for going to chapel in our PJs (it was early OKAAAY!) and blasting Alanis Morissette in the car. Anyways, so Natalie met up with me and we adventured in Long Beach all day and hey, it’s pretty cool! Coffee and a club sandwich go good together right? I’ll take that as a yes. My food combos never make sense but I sure loved this place! Vintage boutique stores on all sides too. Take a look while you wait for your table or after you’re done eating. That inspired us…. Nat needed a new project and new furniture pieces for her room so what’s better than roaming the neighborhood for sales?! We hit the JACKPOT! It’s been awhile since I’d been to or had a garage sale and Saturday is THE day! So many sales, met nice people, found a few pieces (Pottery Barn table for $20 SCORE! ), and even stumbled upon Ferris Bueller’s neighborhood. Super trendy spot a friend told us about to do some vintage shopping and thrifting. Even though we didn’t eat there (so full from earlier) there were some suuuuper cuuuute restaurants in the area. 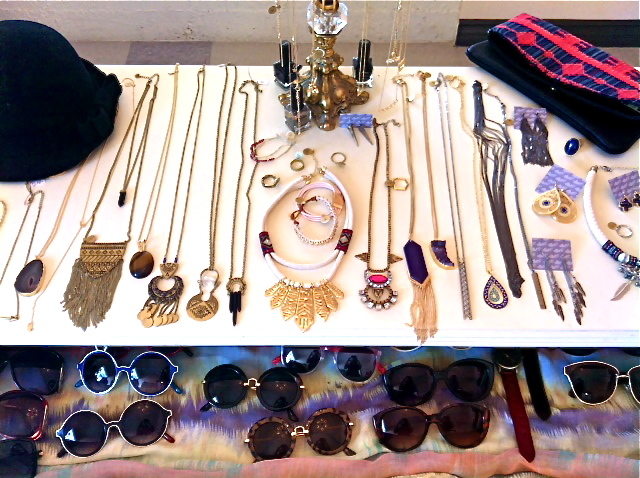 We fell in love with some boutiques and hipster coffee shops. We ended our day with watermelon wheat beer and a great dinner with even more friends. Cheers!